A.P. Moller-Maersk reopened its Port of Los Angeles terminal Friday as the shipping giant restored many of its operations worldwide following a Tuesday cyberattack. Monrovia technology company AeroVironment Inc. was this week’s biggest mover, gaining 24 percent to end at $38.20. Portsmouth Square Inc. was also among the week’s biggest movers. The Los Angeles-based property management company rose 12.90 percent to end at $70. Internet advertising and technology company Social Reality Inc. was this week’s biggest loser, dropping 11 percent to end at $1.24. INVESTMENT: Latest fund brings total assets under management to $2 billion. Upfront Ventures said last week that it has raised a $400 million venture capital fund – the Santa Monica-based firm’s sixth core investment vehicle – giving it some $2 billion in assets under management. TV: Univision, Telemundo go with modern, edgy fare to draw younger U.S. Latinos. Univision and Telemundo program modern, edgy fare to boost their stations with U.S. millennials. Former studio chief Sherry Lansing expects “Wonder Woman” to kick down more doors in Hollywood. Three tech industry firms powered their way into the top 10 on this year’s Business Journal list of women-owned companies. UCLA Athletics’ 15-year, $280 million apparel deal with Under Armour Inc. of Baltimore went into effect on July 1. ENERGY: PermaCity turns on powerful rooftop generating project in L.A.
PermaCity has raised its job ceiling with the world’s most powerful solar rooftop generating project. Record numbers at the sister ports and LAX point to Los Angeles moving in the right direction. TECHNOLOGY: Keypr helps guests connect with services, client venues push specials. Travelers have come to expect a sophisticated tech experience when it comes to lodging, according to Nizar Allibhoy, chief executive of downtown-based Keypr, which recently raised $12.8 million to market the notion. Grammys Sign 4-Year Deal in L.A.
MUSIC: Record industry awards will return in 2019 to Staples Center’s stage. Staples Center will get back in the Grammys-hosting groove with the event’s return in 2019. SHIPPING: Largest terminal operator at L.A. port rights security system after attack. Port of L.A.’s largest terminal rebounds as operator A.P. Moller-Maersk shakes off cyberattack. May surge in passenger traffic could help LAX land another record year. Paper brings home top awards from national, local groups; sister publications’ work also saluted. Business Journal’s staff delivers with top awards from national and local journalism groups. 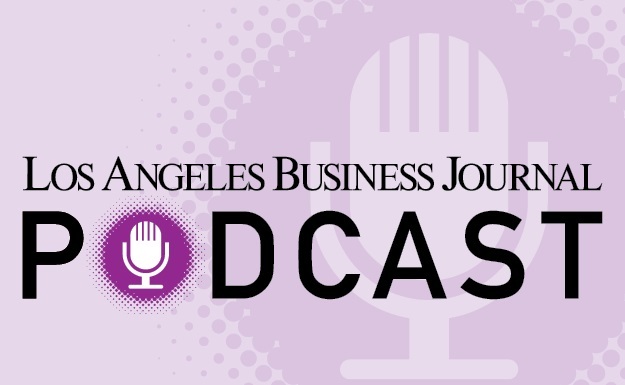 Full disclosure: the Business Journal’s Women’s Summit on June 23 at the JW Marriott at L.A. Live featured a series of panel discussions that were in the hands of several key sponsors. INVESTMENT: Trio moves to break first-half drought. Trio of nontech companies generated buzz with a string of IPO moves at the end of June. FINANCE: Collaborators seek to seed startups across fields. Ex-state Insurance Commissioner Steve Poizner favors a collaborative policy for funding startups. Recreational video game competition Super League Gaming raises $15 million, Boring Co. completes test tunnel and Upfront raises $400 million for sixth early-stage fund. Recreational video game league Super League Gaming announced on Thursday that it raised a $15 million Series C round from investors including Nickelodeon, DMG Entertainment, SoftBank ISAT and Peter Guber’s aXiomatic. A judge Wednesday dismissed Pulitzer Prize-winning reporter Jeff Gottlieb’s employment discrimination lawsuit against the Los Angeles Times, according to the newspaper’s attorney. Pacific Alliance Medical Center in Chinatown has agreed to pay $42 million in penalties to settle allegations in a federal whistleblower lawsuit claiming it filed false medical claims in a kickback scheme, the U.S. Justice Department announced Wednesday. RBB Bancorp is preparing for an $82.8 million initial public offering, according to documents filed with the Securities and Exchange Commission Wednesday. The 434-room DoubleTree by Hilton hotel in downtown’s Little Tokyo has been sold for $115 million, or $264,562 a room, according to industry tracker CoStar Group Inc. Mobile game hardware startup Wonder raises $14 million, SpaceX to launch final Falcon 9 upgrade this year and Snapchat users can create custom filters in the app. The Grammy Awards are coming back to Los Angeles in 2019 after next year’s ceremony in New York, the Recording Academy announced Wednesday. Los Angeles International Airport’s passenger traffic surged 5.6 percent in May, despite the largest series of airline terminal relocations in U.S. history. Maersk halts operations at Port of Los Angeles after cyberattack, Belkin starts selling backpacks and messenger bags and Snapchat pitches advertisers on advantages of Snapchat’s smaller audience. The Los Angeles City Council on Tuesday unanimously approved the construction of the $1 billion Lucas Museum of Narrative Art in Exposition Park. Shipping giant A.P. Moller-Maersk shut down its operations at the Port of Los Angeles’ largest terminal Tuesday morning after a cyberattack hobbled its computer systems worldwide. YogaWorks Inc. is preparing for a $74.8 million initial public offering, according to documents filed Friday with the Securities and Exchange Commission. The city of L.A.’s Office of Wage Standards has ordered Carpinteria-based fast food company Carl’s Jr. Restaurants to pay $1.45 million in restitution and fines for minimum wage violations at seven of its L.A. corporate-owned restaurants. Los Angeles vehicle donation charity People’s Choice Charity has been ordered to shut down and pay at least $30,000 in penalties, California Attorney General Xavier Becerra and Los Angeles County District Attorney Jackie Lacey announced Monday. This week’s strike by close to 100 truck drivers and warehouse workers at the Los Angeles and Long Beach ports was expected to end Friday with little effect on cargo movement, port officials said. Clinical diagnostic sequencing company Fulgent Genetics Inc. was this week’s biggest mover, gaining 32.63 percent to end at $6.95. Patrick Soon-Shiong’s Culver City-based NantHealth Inc. was also among the week’s biggest movers. The health care company gained 28.29 percent to end at $4.58. Oil and gas exploration and production company California Resources Corporation was this week’s biggest loser, dropping 10.91 percent to end at $9.23. The city of Los Angeles is moving to shut down a Boyle Heights construction and demolition debris company after a giant mound of trash onsite caught fire and smoldered for six weeks last fall, City Attorney Mike Feuer announced Friday. Companies such as Enterprise, Hertz, Avis ride jump in passenger traffic at LAX to higher revenue. Rise in passengers at LAX has revved up revenue for rental car firms at the airport. Chef’d has added Campbell Soup to the mix as the meal kit delivery company’s largest investor. Range of factors brings together wealth management firms through mergers and acquisitions. Playa Vista venture shores up presence overseas with deals with government, university. Hyperloop venture speeds way to South Korea with several partnership agreements. SALE: Investment partners get 33,000 square feet in tight market for $14.7 million. Time was money in a rare case of distress in Century City’s robust office market. Hippeas has new investors in the chickpea bag including Hollywood star Leonardo DiCaprio. Will $50 Million Buy Wonderful Result? agriculture: Ad spend headed for TV spots, ballparks. Wonderful Co. hopes customers go nuts for its $50 million pistachio ad campaign. FOOD: Gail Becker credits launch of Caulipower to her quest to feed her two sons. Caulipower’s Gail Becker pursues healthy sales with her gluten-free pizza offerings. LAX hit a record high of 80.9 million passengers in 2016 as traffic continues to rise. A technology company in China announced in a regulatory filing last week that it is paying $179 million to increase its stake in online electronics retailer Newegg Inc. to almost 94 percent. Capital Idea on Pacific Rim? Los Angeles is well-positioned to steer the future of the Pacific Rim. LEVIES: Councilman hopes to ease payment process by rescheduling date to April. Los Angeles City Councilman Mitch Englander this month introduced a motion to lay the groundwork for synchronizing the payment of business taxes with federal and state taxes. REPORT: Impact of sector can be affected by range of factors in home markets. Cushman & Wakefield’s recent Tech Cities 1.0 report is aptly titled – it’s an iterative effort, as the phraseology goes these days. REAL ESTATE: Daiso signs lease for former warehouse used by American Apparel. Home goods retailer Daiso California sews up lease for former American Apparel warehouse. NONPROFIT: Central City Association board expands amid housing policy refocus. Downtown’s Central City Association expands board amid advocacy adjustment. The fascination with food isn’t just for foodies anymore – what else to take away from Amazon’s $13.7 billion offer for upscale grocery chain Whole Foods? SPORTS: AEG scores stake in Immortals gaming team. L.A. Live owner AEG makes a play for video-game events by taking a stake in e-sports squad Immortals. Biotech billionaire Patrick Soon-Shiong’s plan to build a 7-acre biomedical complex in Phoenix in partnership with the city and Arizona State University is not moving forward, according to local media. VR Playhouse launches virtual reality training program, USC to lead quantum computing project and sneaker marketplace Goat hires former Twitter executive. The Los Angeles County Metropolitan Transportation Authority board of directors on Thursday approved a $1.4 billion budget and related partnership agreements for an 11.5-mile extension of the Foothill Gold Line light rail route from Glendora to Claremont. UCLA Mattel Children’s Hospital and Miller Children’s and Women’s Hospital Long Beach announced the formation of a strategic alliance on Thursday. Glassell Park-based boutique studio VR Playhouse has launched an educational program meant to attract students, artists, developers and directors to the virtual reality industry, according to a company statement. A state appeals court has upheld a lower court’s ruling that Malibu can’t limit chain stores or force major projects to be put to a vote of the people. A Woodland Hills-based real estate investor has purchased five apartment buildings in Koreatown for $10.5 million with plans to tear down the properties, according to CBRE, which represented the seller. The Central City Association representing downtown property owners and businesses announced Wednesday that it has expanded its governing board to 15 members and has adjusted its advocacy priorities to include more of a focus on housing and addressing homelessness. Education software startup GoGuardian launches AI platform, Snapchat launches Snap Map and BlockFraud raises $5 million. Daiso California is taking over American Apparel’s former worldwide distribution center, a 220,000-square-foot warehouse in La Mirada owned by Prologis Inc.
Hyperloop Transportation Technologies Partners with South Korea, AEG invests in e-sports team Immortals, Chinese tech company invests $179 million in Newegg, and more. Hangzhou Liaison Interactive Information Technology Co. Invests $179 Million in Newegg Inc.
A Chinese tech company announced Tuesday that it would invest more than $179 million to increase its stake in online electronics retailer Newegg Inc. to almost 94 percent from 55.7 percent, according to Bloomberg. Miami-based Spanish Broadcasting System Inc. has sold its Century City office building in a fast-tracked deal that the buyer said was brought about by financial pressures. Hyperloop Transportation Technologies has announced new partnerships with South Korean entities as it moves forward on its plans to implement its patented technologies in South Korea. E-sports is finding a home in downtown. Anschutz Entertainment Group announced an investment in e-sports franchise Immortals that makes it a team owner and home-venue operator for the team. Snap signs $100 million deal with Time Warner, Garcetti, Musk discusses tunnel possibility and cloud service company wants $550 million. Snap Inc. and Time Warner Inc. announced a global partnership to develop made-for-Snap shows over the next two years. The deal, reportedly valued at $100 million, will include both entertainment and advertising content. Cornerstone Apparel Inc., the Commerce-based owner of teen retailer Papaya Clothing, filed for bankruptcy in U.S. bankruptcy court in Los Angeles last week. Culver City's NantKwest Inc. was the week’s biggest gainer, jumping 54 percent to close at $6.48. Sherman Oaks-based Real Industry Inc. came in second, rising 15 percent to close at $3.05. Commerce's Smart & Final Stores Inc. was the week’s biggest laggard, dropping 32 percent to close at $9.10. L.A. County’s unemployment fell to a new record low of 4.4 percent in May amid steady job gains, state figures released Friday show. Matt Toledo exiting as publisher-CEO; ad vet Anna Magzanyan to take over publisher-CEO position. Business Journal Publisher-CEO Matt Toledo is stepping down and handing the reins to Anna Magzanyan. Newly appointed Port of Long Beach Executive Director Mario Cordero spent time with the Business Journal to discuss the outlook for one of the region’s biggest economic drivers. SPORTS: Clippers owner Steve Ballmer eyes new venue for team by 2024. Inglewood council signs off on a proposed arena to house the Los Angeles Clippers. FASHION: Two suitors eye BCBG Max Azria Group’s assets including store leases. Don’t write off BCBG Max Azria Group yet. Subway Might Deliver Beverly Hills 9021 Uh-Oh! Some local leaders fear subway work in Beverly Hills could bury some businesses. Organic baby-food startup Caer Inc., which does business as Yumi, announced a $4.1 million seed round last week, taking money from a mix of angel investors and venture capital outfits. HEADQUARTERS: Pending exit of Toyota shakes up list of businesses in L.A. County. American Honda Motor has homed in on the top spot of foreign firms with U.S. bases in L.A. County. SPORTS: Dan Fegan looks to score deals amid ex-firm feud. Basketball agent Dan Fegan and his former firm, ISE, are feuding. EMPLOYMENT: Adam Feit, Matthew Dalany to bolster Union Bank’s sector efforts. It seems like a new private equity shop rears its head in Los Angeles every week, and the banks have noticed. The Los Angeles Clippers could be joining the Rams and Chargers on the bandwagon to Inglewood. REAL ESTATE: Ventures aim to put squeeze on high costs. Tech ventures such as Open Listings look to shut the door on steep home-sale commissions. DEVELOPMENT: Latest proposal would add tools to bolster preservation efforts. New Hollywood Community Plan spotlights preservation of single-family-home neighborhoods. Duran’s Dance Shoes has leg up with comic-book fans willing to pay to top off their costumes. Duran’s Dance Shoes’ leather boots are a hit with superhero fans looking to punch up their costumes. Nestle is considering a sale of its U.S. candy business, the Swiss-based conglomerate with headquarters in Glendale announced on Thursday. A group of truck drivers and warehouses workers set a date of June 19 for a strike at the ports of Long Beach and Los Angeles. Scopely raises $60 million, VentureDevs to open West Hollywood office, and tech startup HelloTech powers Altice service. Downtown’s ArcWest Partners announced Wednesday the firm has acquired a 30,000-square-foot historic office building in Silver Lake. International venture development firm VentureDevs has found a home in Los Angeles County, announcing plans to open a West Hollywood office by September. The Inglewood City Council is set to vote tomorrow to approve an exclusive negotiation agreement with the Los Angeles Clippers for an NBA arena in the city. A local environmental group on Wednesday filed a lawsuit seeking to overturn the South Coast Air Quality Management District’s recent approval of environmental reports for Tesoro Corp.’s plan to merge operations of its two refineries in Carson and Wilmington. Mayor Garcetti plans tech jobs for L.A.’s youth, insurance mobile app startup Sure raises $8 million, and computer software company Datum Security acquired by Prevalent. Subsidiary funds of asset management firms Ares Management and TruAmerica Multifamily announced Tuesday they have acquired a 240-unit apartment building in Avondale, Ariz., in a transaction valued at nearly $31 million. Snap Inc. signs data subscription deal with Factual, storage startup Clutter raises $64 million, and baby food subscription service Yumi raises $4.1 million. Factual Inc. announced on Tuesday that it signed a deal to sell its location data to Snap Inc. for use in Snapchat. L.A. city planners on Tuesday released a revised community plan to steer development in Hollywood, more than three years after a judge threw out an earlier plan citing faulty growth assumptions. Both the ports of Los Angeles and Long Beach recorded their highest May cargo numbers in history. Snap rolls out ad manager for small businesses, United Launch Alliance wasn’t allowed to bid for Air Force X-37B launch won by SpaceX, and Imax plans to lay off 100 employees in cost-cutting move. Culver City marijuana investment outfit MMMG - also known as MedMen - filed paperwork with the Securities & Exchange Commission Monday showing it had raised just $60 million of an inaugural $100 million fund. Snap Inc. rolled out its ad manager tool on Monday, which makes it easier for small businesses to buy and manage ad campaigns on Snapchat. Valley investment management firm moves on after founder’s death. Mayor Eric Garcetti announces launch of the Digital Makers Exhibit pilot program to cut film-permitting costs for small and digital-first productions, and LACMA launches Kickstarter campaign to fund move of egg-shaped museum from Guatemala City to Los Angeles. Koreatown-based Jamison Properties has sold a stake of its California Market Center, a 1.8 million-square-foot office complex in downtown primarily serving the fashion industry, to Brookfield Asset Management Inc., the companies announced Friday. Arts District-based Social Reality Inc. was the week’s biggest gainer, jumping 16.4 percent to close at $1.43. Santa Monica’s Kite Pharma Inc. was close behind, adding 16.3 percent to close at $87.79. The week’s biggest laggard was Fulgent Genetics Inc. of Temple City, which dropped 20.3 percent to close at $4.94. Los Angeles Mayor Eric Garcetti announced Friday he is naming senior director for economic development William Chun as his next deputy mayor for economic development, replacing Raymond Chan, who is retiring after 33 years with the city. The executive board of the International Olympic Committee on Friday announced its intent to award the 2024 and 2028 Summer Olympic Games to Paris and Los Angeles, all but guaranteeing Los Angeles will host the Games in 11 years. Vancouver-based Pirate Joe’s shut down on Thursday amid rising legal costs due to a lawsuit filed by Trader Joe’s for trademark infringement. Jonathan Diamond to take over magazines, conferences; Jerry Sullivan named new editor. Former Orange County Business Journal Editor Jerry Sullivan replaces Jonathan Diamond as LABJ editor. Marlin Equity Partners picks up educational software firm while pursuing Tangoe deal. SAFETY: Early Warning Labs hopes shakeout from installation raises profile. Condo tower has opened its doors to Early Warning Labs’ earthquake sensor system. ENTERTAINMENT: Rise in streamed content plays part in increased opportunities. Disabled actors see their Hollywood role expand as productions pursue authenticity. Operating a multiple listing service has become a tough sell as rivals flourish online. World of Dance steps up its profile with an NBC program that unites a range of L.A. talent. TECHNOLOGY: He stands by LAX tunnel proposal despite city officials’ doubts. Boring Co. founder Elon Musk acknowledged last week that his company would likely struggle to gain government approval for a tunnel extending from Los Angeles International Airport to Sherman Oaks, but said the endeavor was still worth a shot. BEVERAGES: Millennium Products looks to pour it on as healthy drink sales boom. Millennium Products bottles up more space to boost output of its kombucha drinks. WASTE: City Council looks to enact policy in five years; business groups blast costs. Long Beach City Council moves to adopt a trash franchise system that hiked costs in Los Angeles. COMPENSATION: Disney’s Robert Iger at top despite dip. The entertainment sector made a big production out of exec pay last year, with Disney’s Robert Iger and Activision’s Robert Kotick leading the CEO list. Private equity firms may be taking too much credit in this time of low interest. Santa Monica’s Surf Air last week acquired rival subscription-based airline Rise of Dallas as part of an expansion that includes plans to launch service in Europe at the end of the month. politics: Measures include restrictions on arbitration, more employer mandates. Six bills tagged by the California Chamber of Commerce as “job killers” survived the June 2 deadline to clear their house of origin and move on; three other bills the chamber had targeted were stopped. DEVELOPMENT: Project expected to come together faster, with added revenue. Builder of Hawthorne Marriott put the project together with modular construction in mind. Retail: Trader Joe’s win over Canadian shop seen as boost to trademark law. Trader Joe’s trademark victory over a Canadian imitator is hailed as borderline win. Cirrus Aircraft turned heads on a recent jaunt out of Santa Monica Airport, where air traffic controllers, pilots and even a guy polishing a vintage auto collection gave figurative and literal thumbs up to its new Vision Jet. New owner Bay Club picks up property as part of drive for gym, leisure holdings in California. Bay Club Co. has acquired Manhattan Country Club in Manhattan Beach for $73 million, the latest addition to the San Francisco-based company’s holdings in Southern California. INTERNET: $200 million buys tracker of ground-level data. Snap moves to improve its ground game with the pickup of street-level ad data tracker Placed. ACQUISITION: Pacific Oaks buys office property it leased with potential for expansion. Pacific Oaks Education Corp. has acquired the Pasadena office complex where it leases space for $21.5 million – or $287 a square foot – aiming to keep the site as its permanent home with room to expand. Rash of retail bankruptcies has raised concerns over loading firms with debt to pay dividends. Elon Musk says Boring Co. odds of success low, but still worth it, Los Angeles Cleantech Incubator names new chief executive, and augmented reality firm Daqri lends helmet to flying “Iron Man” demo. Boring Co. founder Elon Musk acknowledged that his company would likely struggle to gain government approval for a tunnel extending from Los Angeles International Airport to Sherman Oaks, but said the endeavor was still worth a shot. A Sherman Oaks apartment building owner and an apartment owners association have filed a lawsuit against the City of Los Angeles seeking to block a waste-hauling franchise system set to go into effect next month. Surf Air acquires Texas rival Rise, SpaceX wins U.S. Air Force launch contract for top-secret spaceship, and Stem raises $8 million for software to manage music royalties. Santa Monica’s Surf Air has acquired rival subscription-based airline Rise of Dallas, according to a statement posted to the local firm’s website. The Los Angeles County Board of Supervisors voted unanimously Tuesday to extend a ban on cannabis businesses operating in unincorporated areas of the county. Brentwood-based Breitbart News Network has witnessed a more than 90 percent drop in advertising sales revenue in the last three months, fueled by its alt-right agenda and support for President Donald Trump, according to DigiDay. Bay Club Co. finalized its acquisition of Manhattan Country Club in Manhattan Beach last week for $73 million, the San Francisco company announced Tuesday. Snap Inc. has acquired location data startup Placed Inc. of Seattle for a reported $200 million. Pacific Oaks Education Corp. has acquired the Pasadena office complex where it leases space for $21.5 million, or $287 a square foot, aiming to keep the site as its permanent home with room to expand. Faraday Future plans to race FF 91 to top of Pikes Peak, SpaceX launches Chinese experiment, and Snap Inc. shares fall after price target lowered. Faraday Future announced on Monday that it plans to race its electric SUV, the FF 91, in the running of the Pikes Peak International Hill Climb on June 25 to demonstrate its engineering progress in light of cash shortages. Los Angeles Business Journal Publisher Matt Toledo today announced that Jonathan Diamond had been named editor, magazines and conferences. Multiple sources familiar with the situation said City Council President Herb Wesson has tapped Drug Policy Alliance’s Cat Packer as executive director of L.A.’s forthcoming Cannabis Licensing Commission. Upfront Ventures is raising two funds totaling $500 million, AeroVironment secures $36.5 million drone contract with Australian military, and Virgin Galactic conducts test glide flight and says it’s nearing propulsion tests. Monrovia-based grocer Trader Joe’s Co. can file an injunction against an unauthorized Canadian reseller of its goods as early as Monday, according to court documents. Patrick Soon-Shiong’s Culver City-based NantHealth Inc. was this week’s biggest mover, gaining 13 percent to end at $3.48. Apollo Medical Holdings was also among the week’s biggest movers. The health care company gained 12.82 percent to end at $10.99. Internet advertising and marketing technology company Social Reality Inc. was this week’s biggest loser, dropping 17.45 percent to end at $1.23. Beyond Meat, an El Segundo maker of a meat alternative, is increasing its reach with a deal to be distributed in 280 Safeway Inc. stores in Northern California, northern Nevada, and Hawaii. The storied Sunset Tower Hotel in West Hollywood has a new partial owner. From a 22-year-old manager of e-sports teams to a 92-year-old manufacturing executive, the Business Journal spotlights some of the working world’s newcomers and old hands. LISTING: Hollywood Hills home part of multiple lots being offered for $40 million. Local Roots Farms looks to get its adapted shipping containers into rotation as crop producers. Mickey Kantor, a Cabinet member for President Clinton, makes a case for an ascendant Los Angeles. BASKETBALL: New league teams with former pros to fill lineups, coaching ranks. Rapper-turned-actor Ice Cube (O’Shea Jackson) and entertainment executive Jeff Kwatinetz will debut their three-on-three basketball league this month. INTERNETt: FreedomPop loses line on phone program. New FCC chief pulls plug on FreedomPop’s entry into a federal subsidized cellphone program. SALE: New York billionaire pays $100 million to buy out a co-owner in Sunset Tower. Dan Tana’s looks to serve up the restaurant’s air of exclusivity with branding and licensing deals. Annual investment event looks to line up local business people with counterparts from overseas. Select L.A. Investment Summit looks to build bridges between local businesses and foreign money. Business Leaders Head in, Out of D.C.
Patrick Soon-Shiong joins panel at Paul Ryan’s behest; Elon Musk, Robert Iger resign over climate. Paul Ryan has named Patrick Soon-Shiong to a House advisory panel; Elon Musk and Robert Iger protest President Trump’s climate stance. ENERGY: Assembly mulls allowing incentive program launched in 2010 to expire. Extension of solar water-heating program has become a hot topic for system installers. Los Angeles City Council mulls a temporary registry to take the heat off pot shops. BEVERAGES: Zevia bested all competitors except Coke with healthier alternatives. Azero-calorie soda company is rising to the top in online sales as American consumers thirst for healthier alternatives. It’s time for the business community to make its voice heard on the homeless issue. Santa Monica’s Oreva Capital announced last week that it paid $70 million to acquire marijuana lifestyle magazine High Times. LAW: Supreme Court decision prompts Marathon to action following freefall. Marathon Patent Group has moved to shore up its shares with a reverse stock split. TECHNOLOGY: Upload case points to lack of HR staff, oversight, analysts say. Another harassment suit raises further questions about the industry’s culture and HR practices. PROFILES: From a 22-year-old manager of e-sports teams to a 92-year-old manufacturing executive, the Business Journal spotlights some of the working world’s newcomers and old hands. HOUSING: Number of county residents living on streets soars year to year. L.A. County agency has reported the homeless population swelled last year. Two things seem to draw the bold-face names: awards ceremonies and political fundraisers. Musk leaves Trump’s advisory councils, uBeam demonstrates brick-sized wireless charger and acknowledges limitations, and League of Legends team valuation rise to at least $10 million. Marilyn Monroe’s former Brentwood home has sold for $7.25 million – $350,000 more than its asking price of $6.9 million. Emile Haddad, chief executive of developer FivePoint Holdings, has been named the new chairman of the USC Lusk Center for Real Estate advisory board. Bill Witte, chief executive of developer Related California, was named vice-chairman.